Severin Films have more Italian horror goodness releasing in May and it is one of the most insane zombie movies ever. 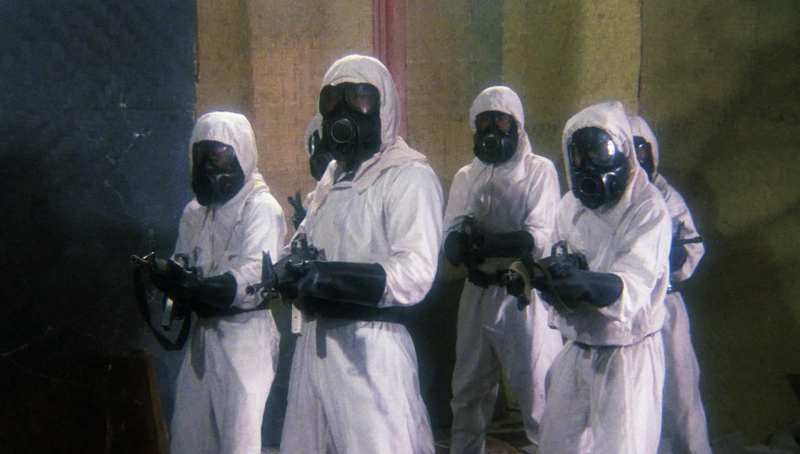 After a deadly virus is stolen from a government facility, it will unleash a “wildly entertaining” (Realm Of Horror) combination of Fulci’s signature extreme violence, Mattei/Fragasso-style surreal logic, and big bloody buckets of goo-spewing mayhem that must be seen to be believed. Deran Sarafian, Beatrice Ring (INTERZONE) and Massimo Vanni (RATS: NIGHT OF TERROR) star in this “total blast” (Bloody Disgusting), now featuring a 2k scan and uncut for the first time ever in America. Also included is the CD Soundtrack to the film. 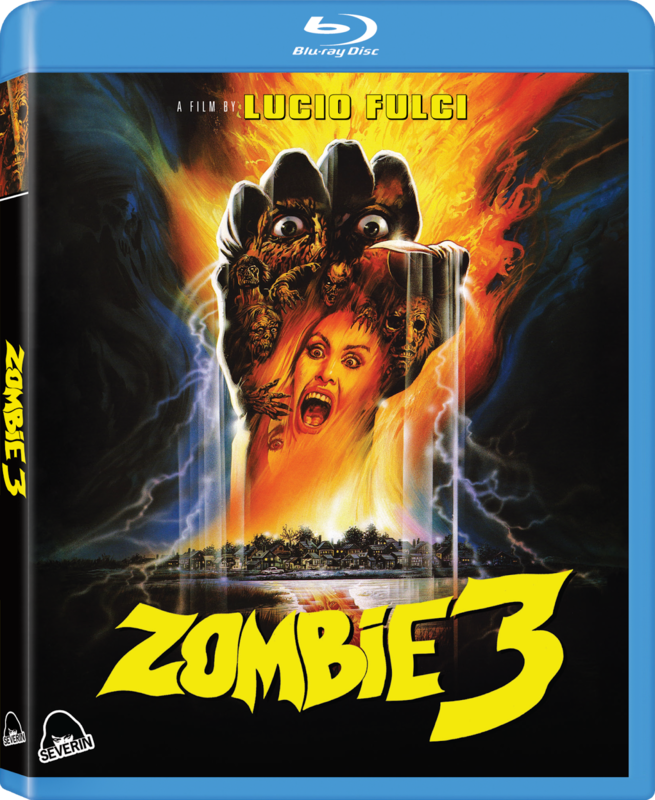 You can also purchase the Special Edition Zombie 3 Blu-ray at a discounted price in a Blu-ray Bundle which includes the Special Edition Zombie 4: After Death Blu-ray release (also with bonus CD Soundtrack), and the Special Edition Shocking Dark Blu-ray (with Extremely Limited Edition Slipcover). Also a Deluxe Bundle featuring all three Blu-rays, all CD Soundtracks, Shocking Dark LE Slipcover, and all three 13×28 Limited Edition Posters, with all of these at a discounted price. Finally, they are offering a Super Deluxe Bundle featuring all of the aforementioned items as well as a brand new Trio Enamel Pin, featuring Bruno Mattei, Claudio Fragasso and Rossella Drudi. PLEASE NOTE: ALL ITEMS ARE PRE-ORDER AND WILL NOT BE AVAILABLE UNTIL 29TH MAY 2018. ANY NON PRE-ORDER ITEMS PURCHASED ALONGSIDE THIS WILL NOT SHIP UNTIL ALL ITEMS ARE IN HAND AT THE SHIPPING FACILITY.